Property 19: Stylish 2-room apartment with many extras! Property 34: Freshly renovated old pearl - great central location! 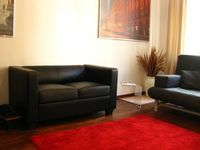 Property 48: Stylish apartment at Clara Park 15 minutes walk from the centre. Best equipped! Nice apartment in a good location. Spacious and well decorated, the place is perfect for a small family. 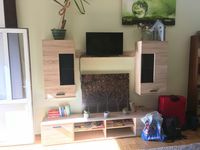 Close to Clara-Zetkin Park and Karli (Karl-Liebknecht Strasse), shops, groceries, restaurants. trams, s-bahn (Bayerisher Bahnhof). All within 5-15min walking distance. The hosts are very nice and check in/check out was quick and convenient. Only minor drawbacks are slow internet and creaky floors. Wonderful place with quiet location close to public transportation.